The Annual Section Picnic starts at noon and is held at Chevron Park in El Segundo. Please RSVP with Bill Easter if you have not yet done so. See Julys K 17 for further info. It will be a hot day in many respects. Shine em up! 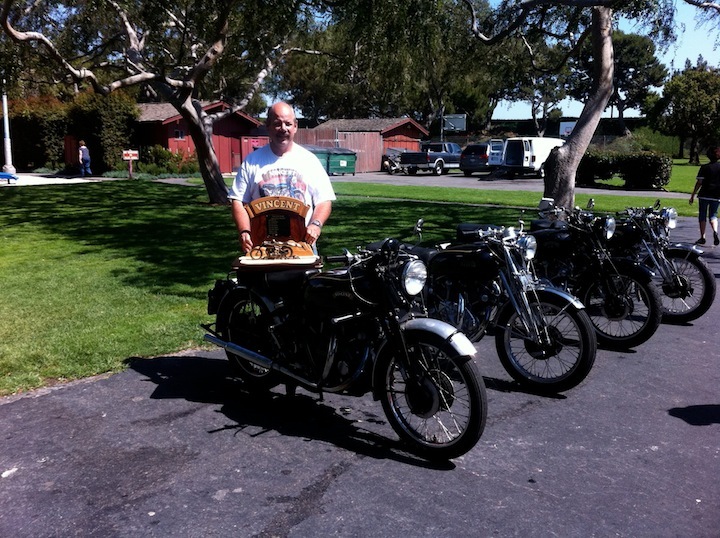 Here’s another pic of Steve Batesole, the Rollie Free trophy winner from last year and his stock Shadow. Get that bike out of the shed. The trophy could be on your mantle! This entry was posted on Tuesday, August 7th, 2012 at 20:03 and is filed under Meetings, Photos, Rides. You can follow any responses to this entry through the RSS 2.0 feed. You can skip to the end and leave a response. Pinging is currently not allowed.